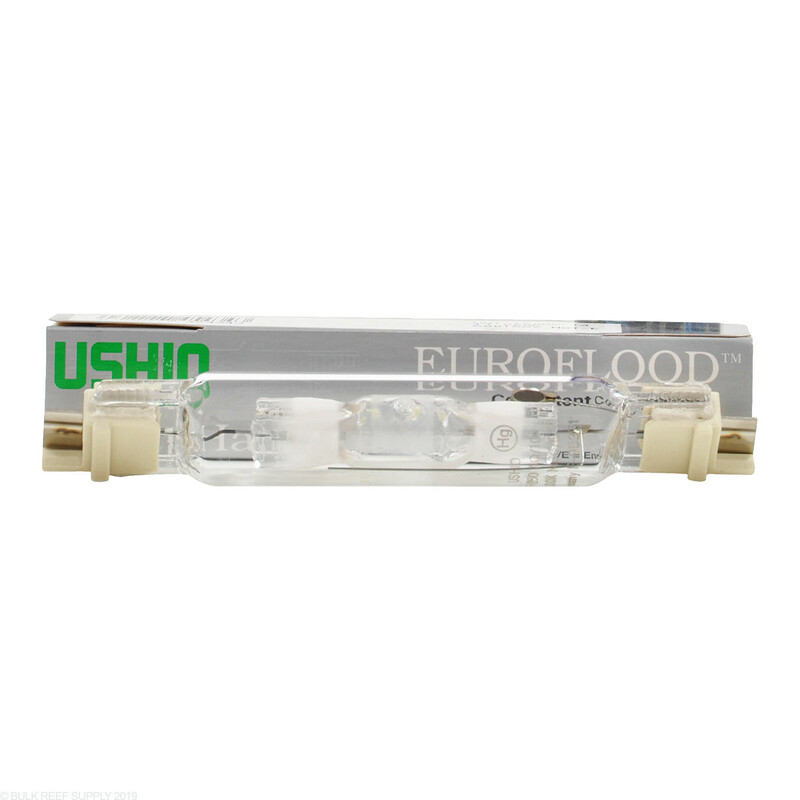 Ushio Aqualite are German-made and come in both double end or single end. Various color spectrums enable you to find the right light for your tank. 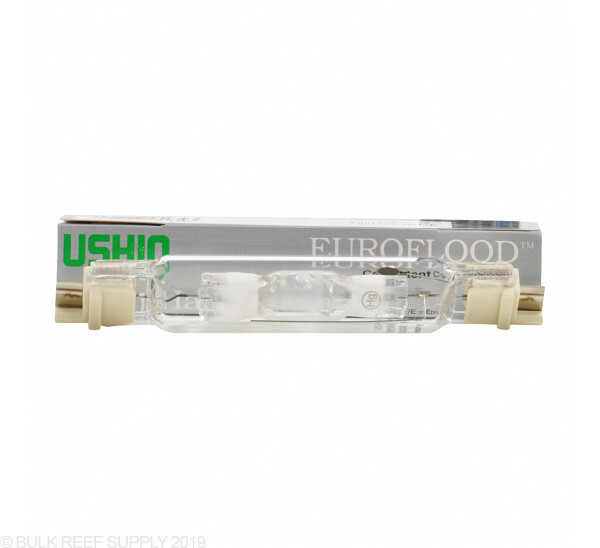 Ushio Aqualite lamps reduce the green light spectrum which can encourage the growth of "bad" algae on your corals. Ushio Aqualite 10,000 - simulates equatorial daylight at 5 meters of ocean depth. Ushio Aqualite 14,000 - higher blue tone - highlight your blue corals while maintaining color rendering for white rock and sand. Ushio Aqualite 20,000 - "blue lamp" - bulbs are blue in appearance and will help simulate a deeper ocean environment. I was fortunate to have recently won 3 Ushio bulbs in a club raffle so I changed out my 14K Phoenix for a 20K Ushio. It doesn't have the same intensity as Phoenix but I'm OK with it. I think it is just slightly bluer than the 14K Phoenix. I haven't tried the 14K Ushio yet. Corals seem to be responding well to the 20K Ushio. The Ushio 20K is definitely not blue as you might expect. I have been testing a lot of different bulbs and combos lately and thought I would give this one a shot. I was expecting much more blue. I guess I may be biased because I tend to run a fairly blue bulb (14k Pheonix). I must say the Pheonix is bluer than the 20k Ushio and the Pheonix has a higher PAR level. I guess this bulb would be good if you want a whiter look and to tone back the brightness of the tank a little for examply if you have a shallow tank or have lower light needs for things like chalice or acans. But otherwise I would look for a different bulb. I would be curious to try some of the other Ushio bulb spectrums to compare to the 20k. The problem is metal halides get a little pricey to experiment with too much. The bulb does have a blue tinge but don't think you are getting a blue bulb in my opinion. It is heavy in the white range with a touch of blue. I would call this more 14k or possibly even more 12k, while the 14k Phoenix probably is closer to a 20k.